Save the Shirt – Make a Quilt! Yes, we all love those shirts from high school, concerts, events, baby clothes, or family shirts from those who are important to us. 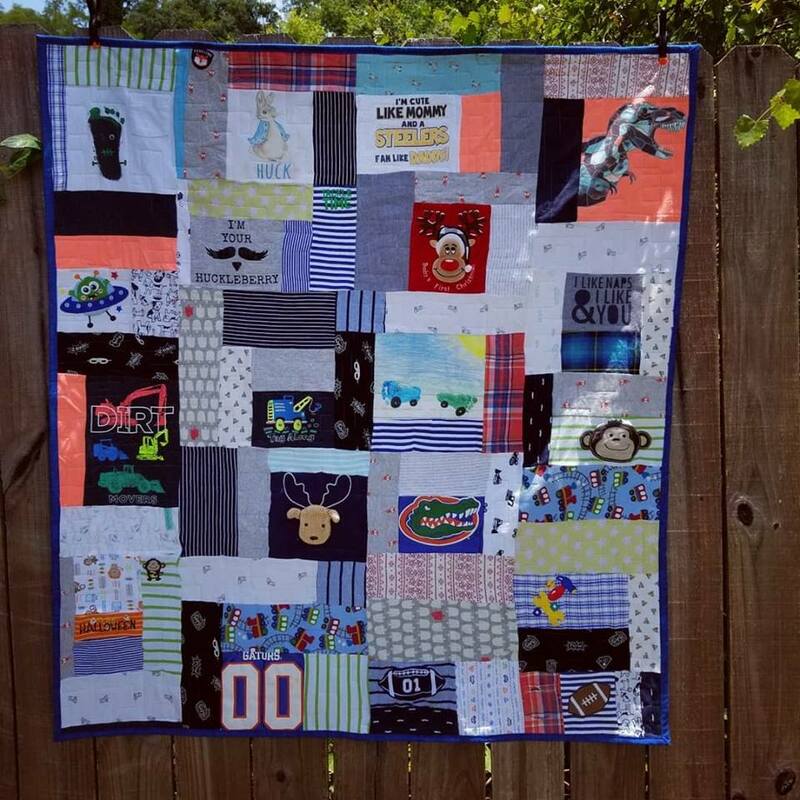 I will help you save your shirts and save your closet space, by turning them into a TShirt memory quilt! Instead of the shirt staying folded up in a drawer for years, let’s wrap ourselves in memories! I will work with you to design the perfect TShirt Memory quilt. Quilt sizes vary based on the amount of T-Shirts you have and pricing is based on size and layout. 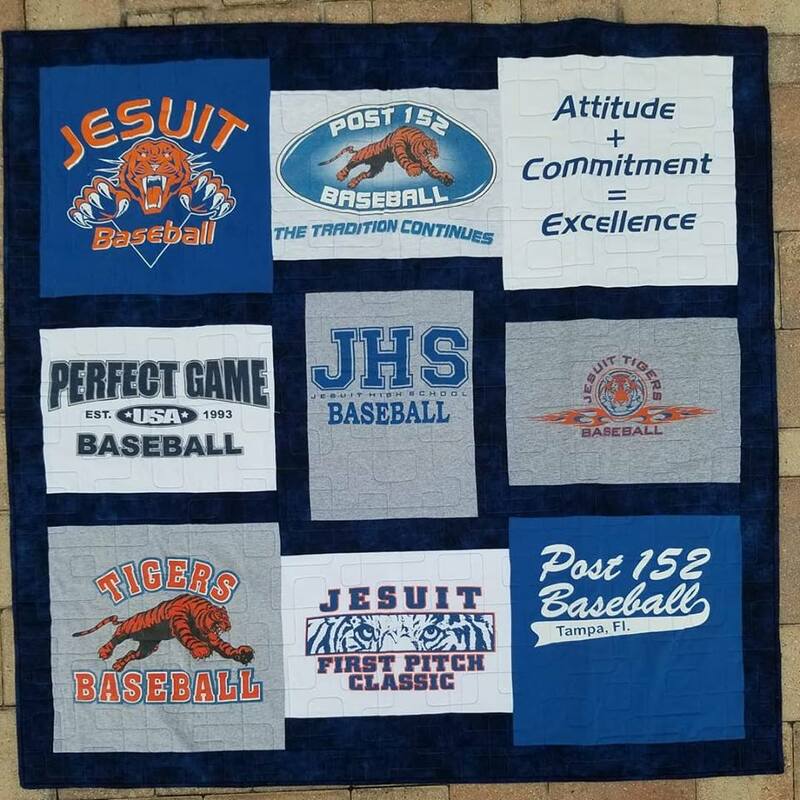 Depending on your chosen design and complexity, TShirt quilts can average between $18 to $25 per shirt and start at $300. Sticker Shock? 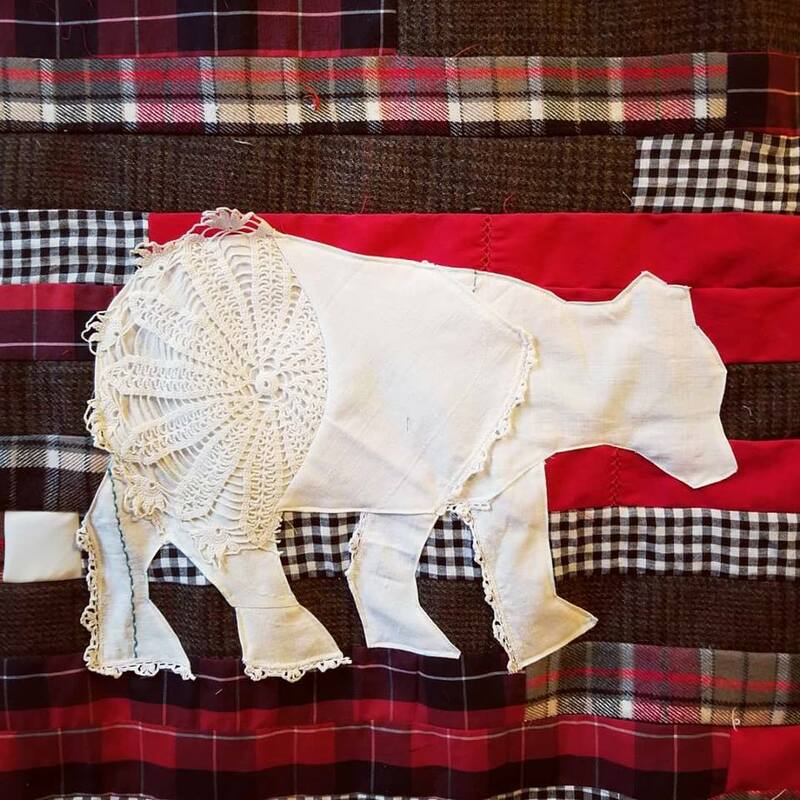 There is a lot of time, design, labor, materials and love that go into creating memory quilts. I create these with the upmost care and attention to detail to make sure this is a memory quilt that will last you a lifetime. 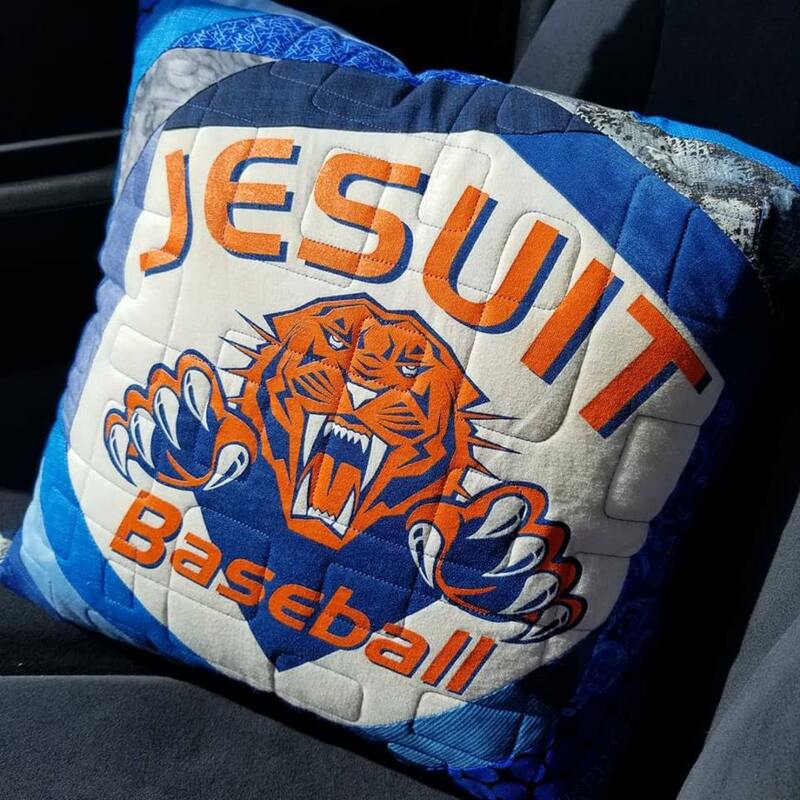 Also available: Patchwork Memory Pillows for $150 each. 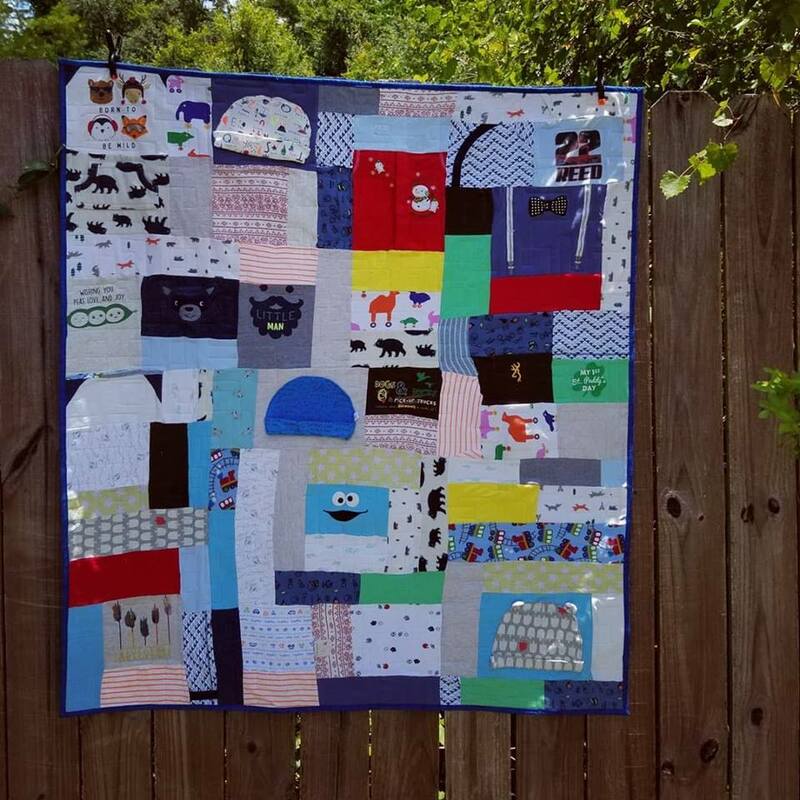 Please Contact Me for your next Memory Quilt!